A filly by Golden Slipper (Gr. 1, 1200m) winning colt Vancouver (Medaglia d’Oro), her dam, Mexican Rose (Volksraad) was Champion 2YO & 3YO in Singapore, having first impressed winning two of her three starts in New Zealand. 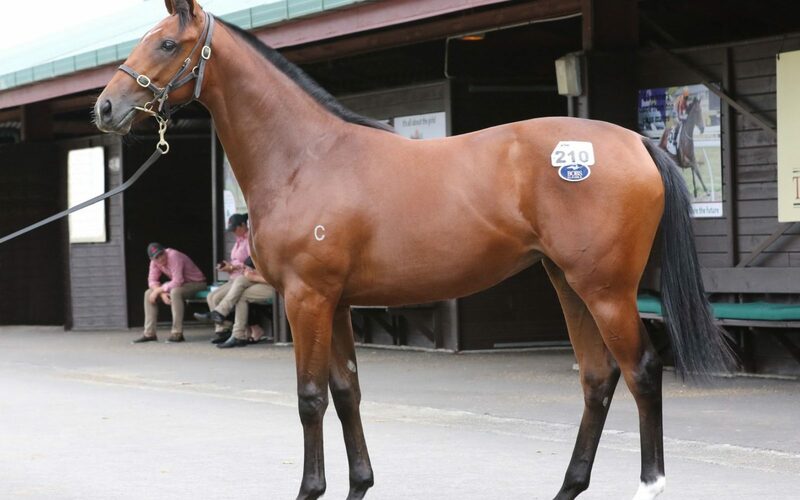 “She’s a beautiful strong filly that oozes quality and the first crop of Vancouver has been very well received in Australia with his yearlings selling up to $400,000 already,” said Te Akau principal David Ellis. 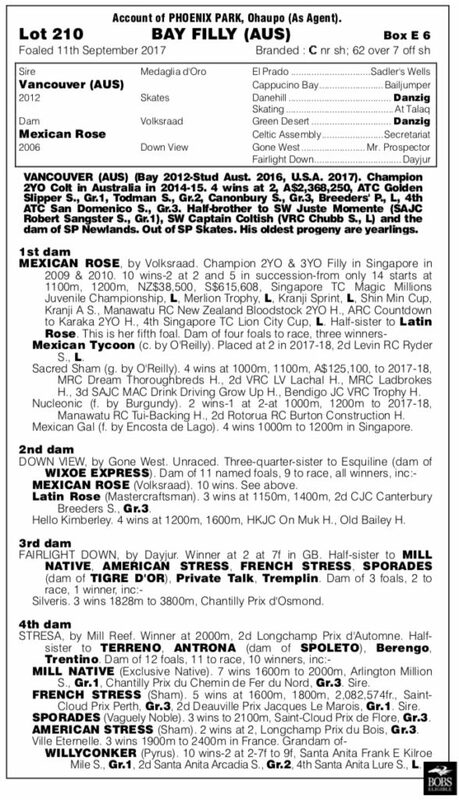 Te Akau knows the family extremely well, having trained impressive winner Nucleonic a daughter of Mexican Rose, who has left six individual winners of 17 races. The filly boasts some terrific sire influences in her pedigree: Danzig, Northern Dancer, Sir Ivor, and Triple Crown winner Secretariat. “She’s a filly that we will prepare for the Karaka Million and she has the scope to train on and be a really nice 1000 Guineas prospect,” Ellis said.